Help Your Children Succeed in French! 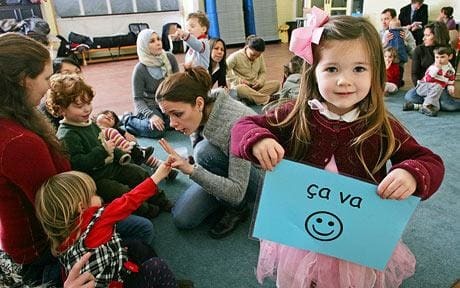 Living in an officially bilingual country makes learning French for our children crucially important in order to have a better career and opportunities in the future. That is why Genius Owl had made it its mission to stand beside you in giving your next generation the kind of education they deserve: helping them gain good grades, finish their French homework without any problem, catch up with their class, and be a confident French speaker. Learning and understanding in our school system is measured using grades. That’s why it is important for students of French to get the best grades possible. We help them achieve that goal. Most parents can help their children with their math, science or English homework. But French homework has shown to be a little bit more challenging. That’s where we can help. Constant practice and continued learning put your student ahead of the pack. They receive the support they need to overcome challenging areas, and use their own potential too. Good marks, punctuality in finishing assignments and feeling to progress not only alongside other students, but better than them gives the sense of self-confidence that we like to see in our kids. Our French teaching staff is comprised of educators accredited by Ontario College of Teachers (OCT). Our teacher has over a decade of experience teaching in Ontario schools, both public and private. We use the latest methods, textbook and material to ensure our students are getting the best possible education. With all the facts in hand, wait no more! Go ahead and guarantee a strong foundation in French and lots of success for your child.